Take a look inside the world’s first Boeing 787-10. Earlier this week, Singapore Airlines took delivery of the world’s first Boeing 787-10 aircraft. “The delivery of the first 787-10, the aircraft is the longest of Boeing’s 787 Dreamliner variety at 224 feet long. Fuel efficiency per seat, the 787-10 is regarded as the most efficient of its size. It is capable of carrying 337 passengers: 36 in business and 301 in economy class. 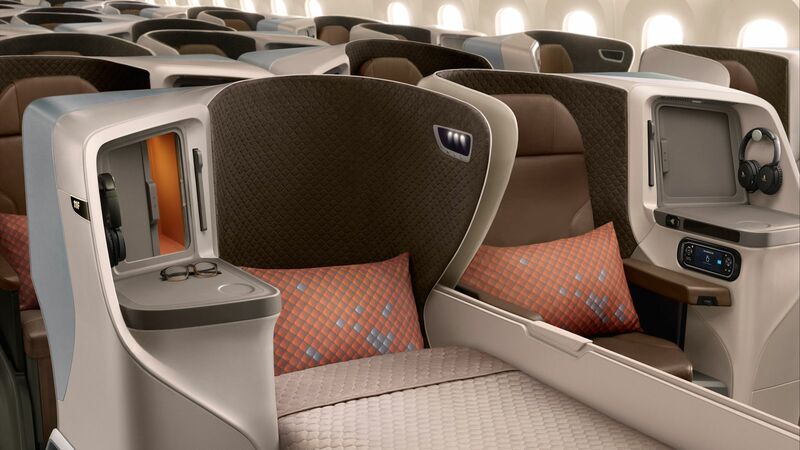 The airline’s revamped cabin boasts business class seats that recline into 76-inch, fully flat beds. 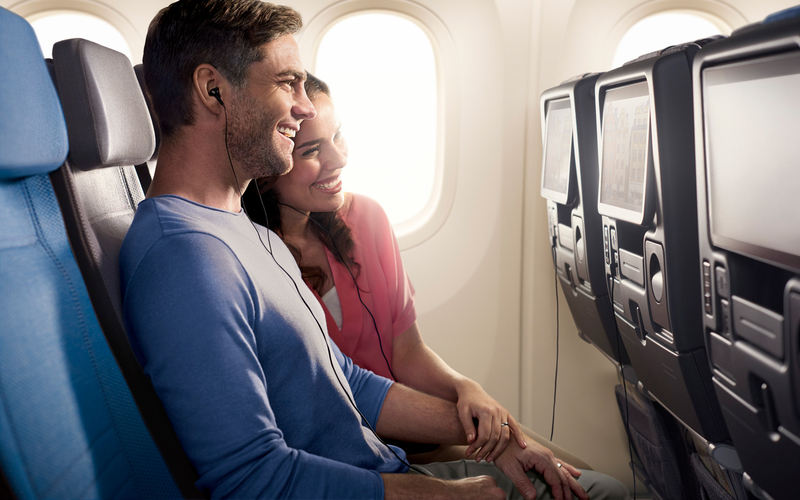 Economy class passengers have “ergonomically designed contour backrests” and headrests that adjust six different ways. 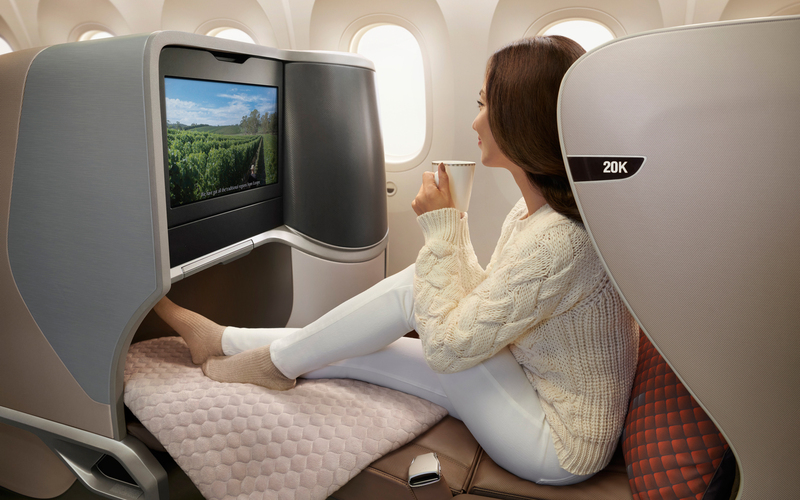 No matter the cabin, passengers onboard the 787-10 will experience the new myKrisWorld in-flight entertainment system with personalization and entertainment based on passenger preferences and viewing history. The airline has placed 49 orders for the new aircraft. 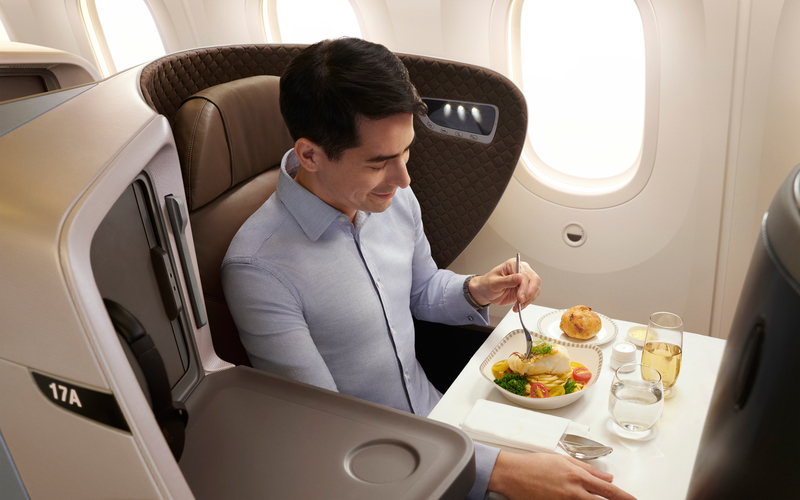 Singapore Airlines plans to use the plane on flights up to eight hours. Beginning May 2018, the Boeing 787-10 will fly to Osaka and Perth. In the meantime, flight crew will undergo training on select flights to Bangkok and Kuala Lumpur.